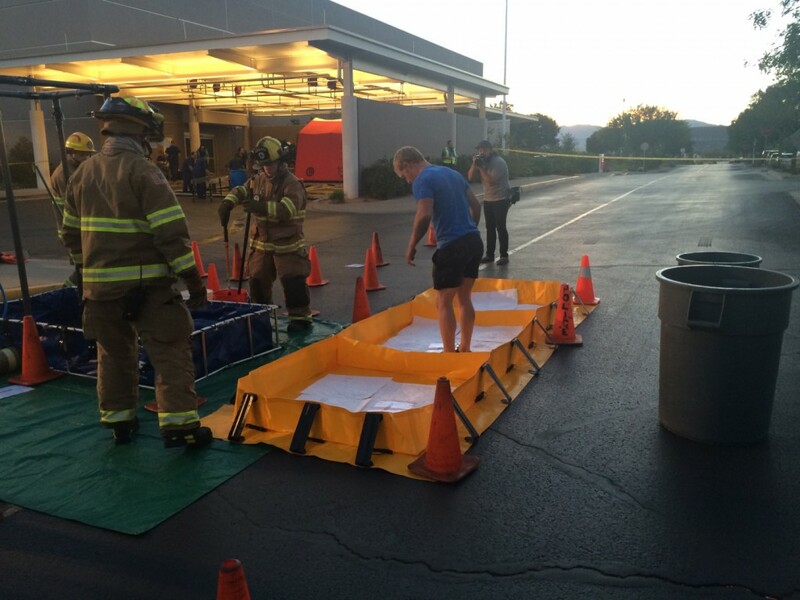 ST. GEORGE – The Southwest Regional Hazmat Team held a drill at Dixie Regional Medical Center in St. George Thursday night to practice responding to hazardous material spills and similar situations. The process involved several different agencies, all working hand in hand to contain hazmat spills and help any patients who may have come in contact with the spilled materials. 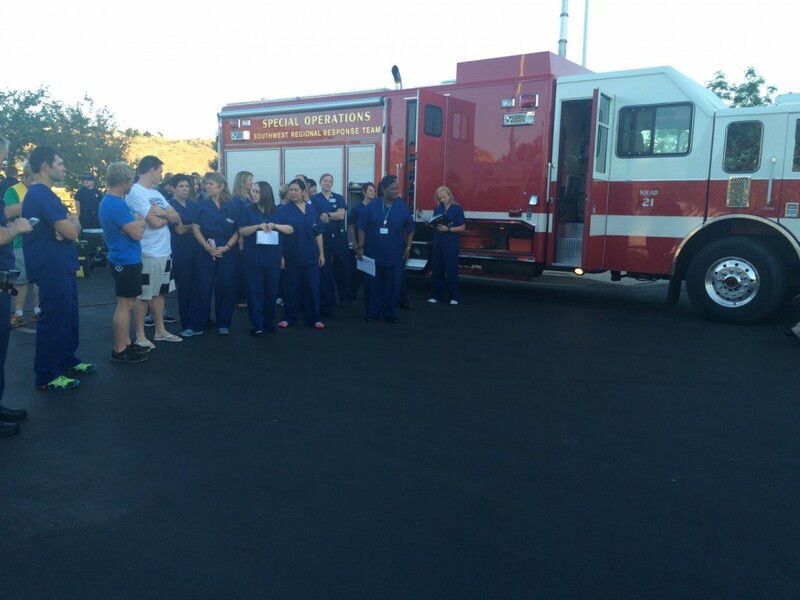 The St. George Fire, Colorado City/Hildale and Santa Clara fire departments, Gold Cross Ambulance, and nurses from Dixie Regional Medical Center all participated in the activity. 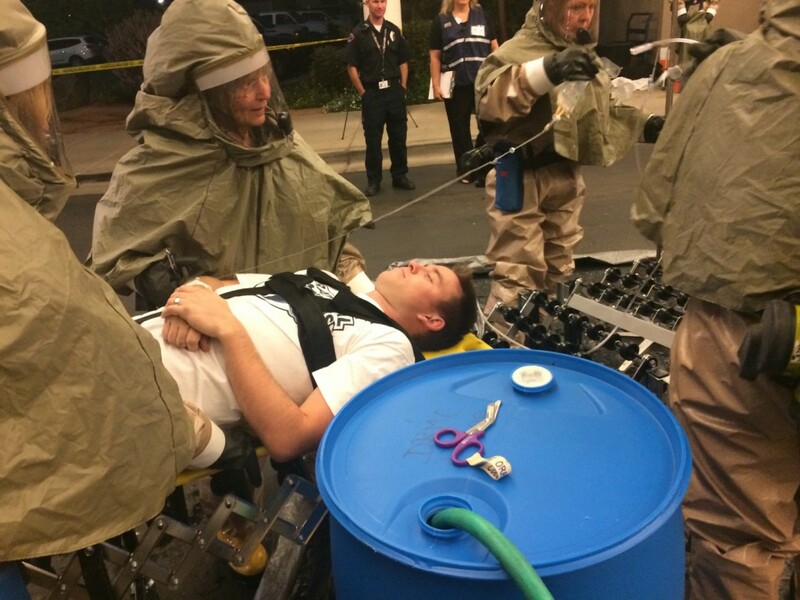 The drill started with two hazmat agents tending to two patients who had been exposed to the “chemical,” a mix of cornmeal and flour that simulated sodium peroxide, a caustic agent. 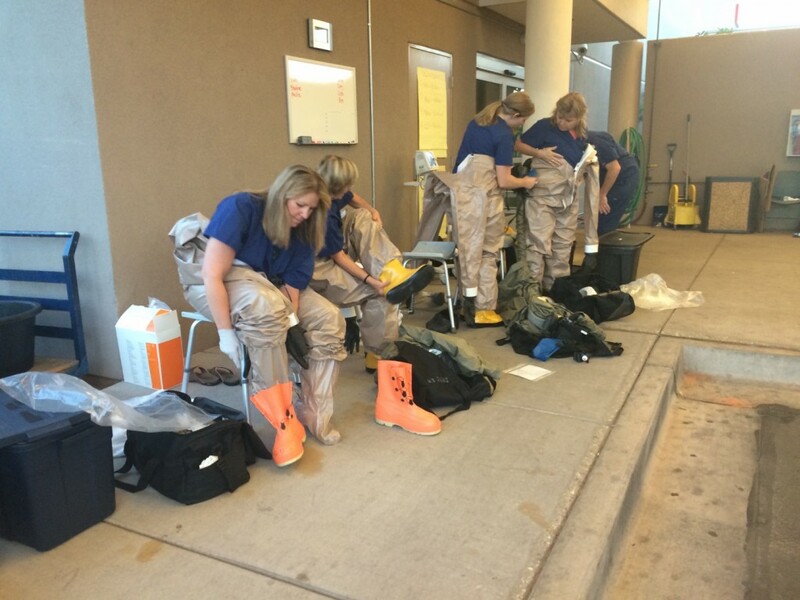 Once the hazmat agents tended to the patients, they were able to gather a sample and work with the science team to learn what the material was. This is the “decon corridor,” where we clean the materials off of the patients. 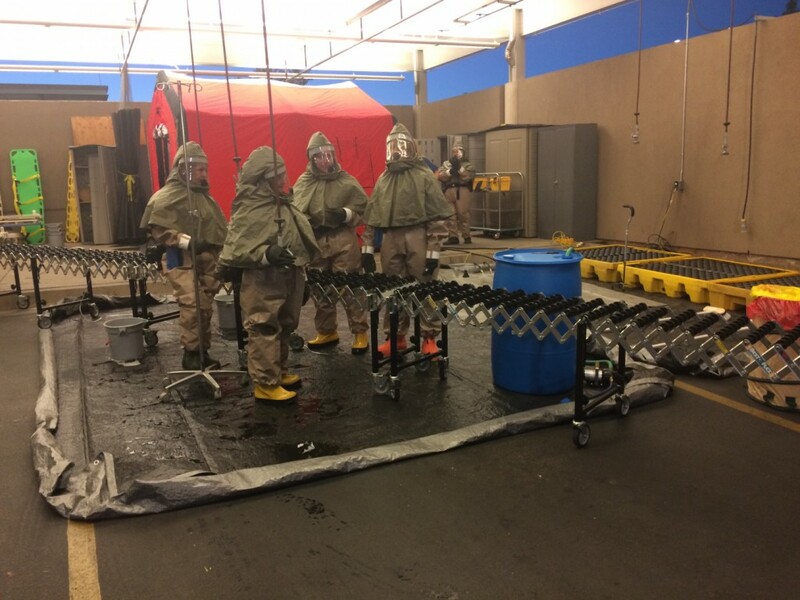 We set this up before anyone makes an entry down into the hazardous area down range (where the accident occurs); that way if anything goes wrong we can clean them off, and that’s basically all you’re trying to do is clean the contaminant off before we send them to a billion-dollar facility like the hospital or put them in a $100,000 ambulance. 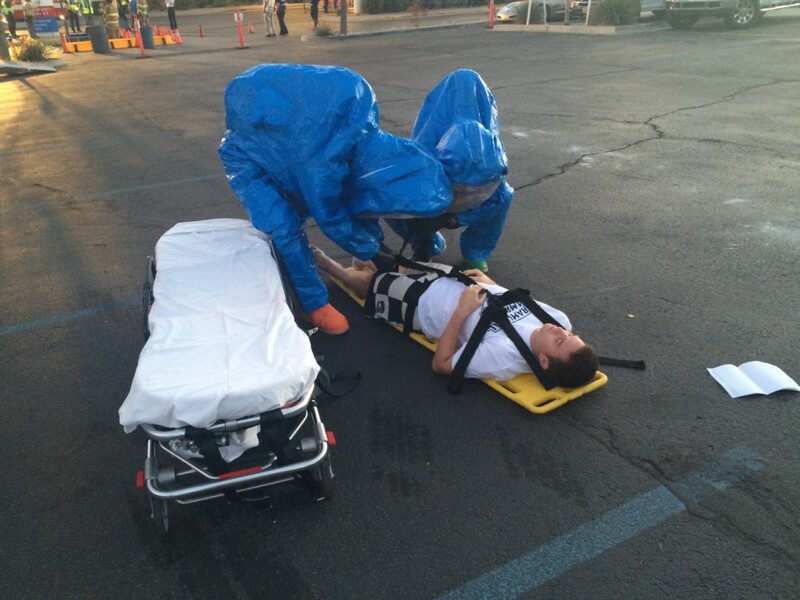 The hospital conducts several drills a year to help prepare for emergency situations. 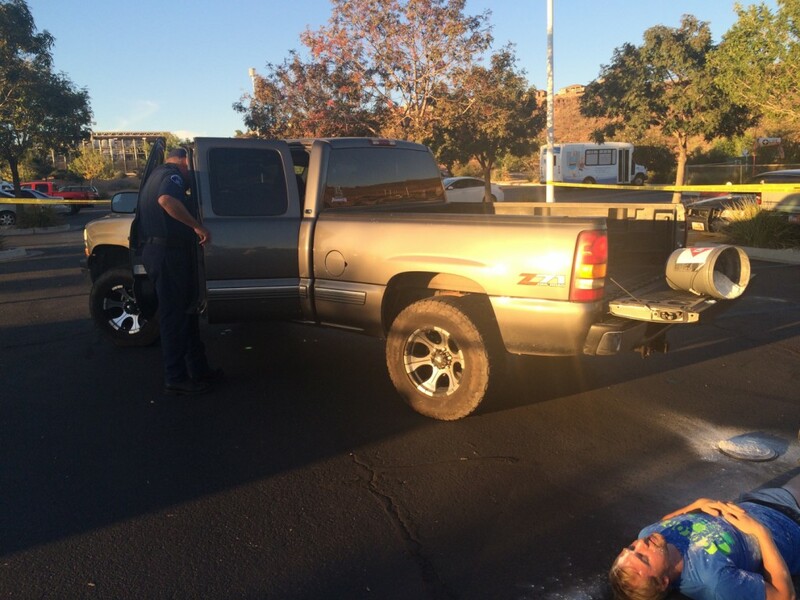 This past summer, they conducted a drill where they treated several gunshot victims.